Pitch a tent or hire a bell tent. 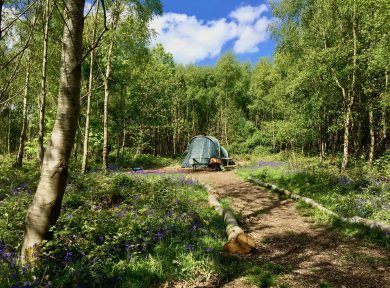 Get away from it all by pitching your tent among the trees at our East Sussex campsite in the wonderful Beech Estate woodland. 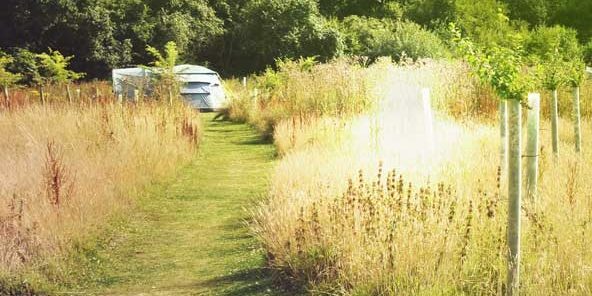 Or take it even easier with a stay in one of our ‘wild glamping’ bell tents. The Secret Campsite Beech Estate is off grid and has just 30 pitches in total. 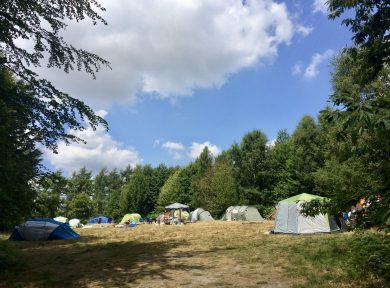 These include our Forest Tent Pitches, Faraway Pitches, and the Valley View Pitch for camping. Eight of these pitches have our pre-erected glamping bell tents set on them. 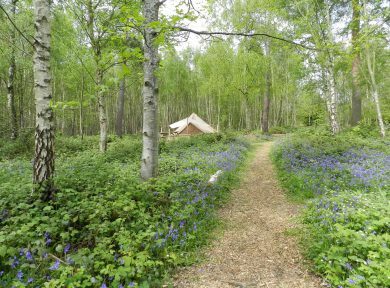 We have a small number of Forest Tent Pitches suitable for the use of hammocks. We also have group glamping and camping combinations, mini group options and one larger group option. Please contact the office to see if these are available. 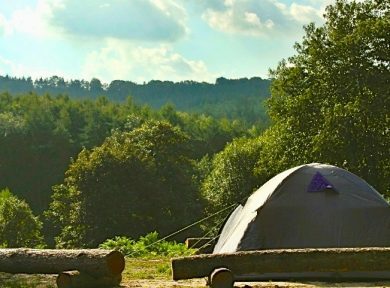 The East Sussex campsite is located in the High Weald Area of Outstanding Natural Beauty (AONB). 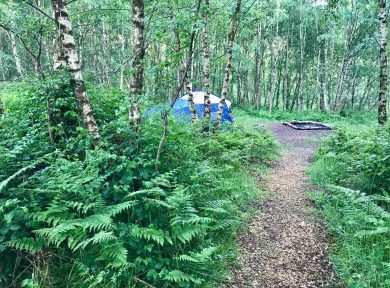 Campfires are allowed and the privately owned forest the campsite is set in is yours to explore.